The core of every business organisation’s mission is to answer customer needs. In order to do so you must first identify and understand them. Understanding your customers’ needs is essential but superficial knowledge is not enough to ensure your organisation’s profitability. To achieve product/market fit, the point where you answer needs better than your competitors, you must get to a deeper level of understanding of those needs. An added bonus to mastering customer needs (and providing a solution that fulfills them) is that every marketing dollar spent will yield higher returns than those of your competitors, who don’t have the same depth of knowledge. A deeper level of understanding your customers’ needs will also ensure an overall better customer experience, which we already saw in a previous post on the customer experience journey, leads to higher profitability. Ok, so now that you are convinced understanding customer needs is in your organisation’s best interest, the question you may be asking is how to go about mastering them. First you have to identify the needs you will be fulfilling (hint; don’t stop at the needs attached directly to your product/service, also look at the ones surrounding the entire customer experience). Once you have zoomed in on the needs to fulfill, you must not only understand the needs but the whole story around them. This process requires lots of effort, time and knowledge of data gathering techniques. It isn’t as straightforward as it may seem. As a marketer a huge part of my role, aside from finding the right customers, is to identify and understand their needs. Over the years, I learned that there are three steps to any quest aiming to either identify or understand customers’ needs. The very first thing you should do when you have a business idea is to talk informally with potential customers. This mostly means listen to their answers. It also helps you figure out who your early adopters are. If it’s not possible for you to talk directly to potential customers, find people who know your potential customers inside out, and talk with them. Don’t forget to set objectives for your conversation. Examples of conversation objectives are; to see whether the needs you think exist actually do, how they are being filled and the relative importance of those needs. In order to maximise the amount of information you take in, not only do you have to limit how much talking you will do, but you need the proper mindset. Your mind should be open and devoid of as many filters as possible. Always remember that explaining your project in length and your view of the world is just taking time away from achieving your goal. Listen. On a side note, many of the entrepreneurs I meet are worried that someone will steal their idea before they get a chance to develop it. Unless you have a truly patentable solution (very few are), and potential customers can either beat you to market (they already operate a company in the same field) or spill the beans (to an existing competitor), you have nothing to worry about. Honestly, initial business ideas are very rarely marketable. Even if they were, almost no one wants to put in the blood, sweat, tears and go through the hell that starting a new business entails. Furthermore, even if they did, they’d most likely end up with a completely different business than yours in the end. Lastly if the threat of theft is real, there are still ways to explore the needs of potential corporate customers without spilling your own beans. Please do not let the fear of someone stealing your business idea prevent you from engaging with potential customers. 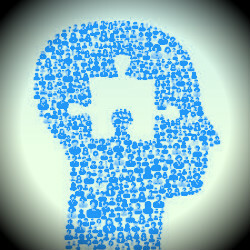 Observation is essential to identify less obvious needs and understand all pertinent customer needs at a deeper level. Asking potential customers won’t yield the information you seek because people don’t or can’t always tell you the truth. There are many categories of observation techniques. Natural observation techniques allow you to observe your potential customers while they are naturally fulfilling the needs you want to address. Ideally, without them noticing you too much so their behaviours are not altered. Such observation experiments will yield huge amounts of customer knowledge. Hence you need to ensure you set observation goals for your experiments. Your observation goals can pertain not only to your subjects’ actions but also their interactions, environments, and the tools they use. You will most likely need to repeat such experiments many times to take in all the knowledge you will need. Alternatively, you can task multiple people to observe the same situation while giving them different observation goals. Two of my favorite natural observation techniques are shadowing and A day in the life. These techniques are associated with a goal of understanding a specific thought process or behaviour in a given circumstance. They require putting the customer in a specific situation or assigning him, or her, a task and then observing. This can be followed by a question period to help interpret what you observed. It can be done face to face, remotely with cameras or on the web (such as A/B testing). This technique is used in addition to one of the previous ones where the observer is someone who has a vision of the world that is significantly different from you or anyone in your industry. This technique yields much richer interpretation/insights from the data you collect. Whenever possible, put yourself in your customers’ shoes or, even better; take the time to get to know some of your favorite customers personally. This will enable a relationship of trust and maybe even friendship (personal bonus for you) to develop over time. Get involved in activities or causes your customers are passionate about. This will give you an even deeper understanding of their values and what is important to them. Sharing your customers’ values is a requirement to attract them into your community. If you are unsure of what I am referring to here, see this previous post on community marketing. Applying all of these techniques to understand your customers’ needs is required to get a 360 degree view of them. Using many different perspectives to master your customers’ needs will yield rich and actionable information. It will also facilitate innovation in your organisation. Striving to understand customer needs is a continuous process. Set up processes and assign resources in your organisation to make it an integral part of your business activities. These processes can be as simple as a quick questionnaire you send out on a regular basis, or an automatic feedback one, after a certain task is completed. 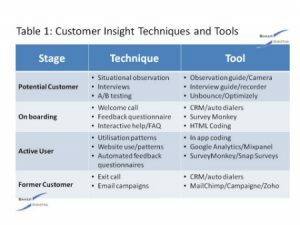 Analytics reports, comments on social medias summaries or a managed (live or online) community feedback or observation reports are all valid continuous feedback processes that can yield precious information on your customers’ needs. Be aware that this feedback is highly valuable to your organisation, if you act on it. Hence, reward your customers adequately (often a simple thank you is enough) for sharing their thoughts and concerns. Mastering the understanding of customer needs is no small task. Your rewards for listening, observing and empathising with your customers, will be a tighter product/market fit, greater customer satisfaction and higher profitability. Needs are always dependant other factors. E.g. The need for a given medicine will be dependant on experiencing specific symptoms at a level that requires relief and not being allergic or prone to adverse effects to said medicine. It’s the end of the year already. It went by incredibly fast. This is the time to look back and identify what needs to be fixed. It’s also the time to be grateful for all that we were able to achieve. One of the things I am always very grateful for is the knowledge I gain during the year. Important sources for the knowledge I pick up are the books and articles I read. I have to admit that I didn’t have as much time to read this year as I got involved in many (maybe too many) projects. I did however manage to read some very good books on marketing, innovation and Lean Startup. As I did last year, I am sharing with you some of the ones I especially liked. I didn’t keep up with all that is new in marketing this year. It’s nearly impossible to do so. I tuned in to a few webinars that helped me focus my readings. I read mostly on mobile marketing (various aspects), influencer as well as community marketing. Community marketing is a strategy that isn’t as easy to implement as one might think. 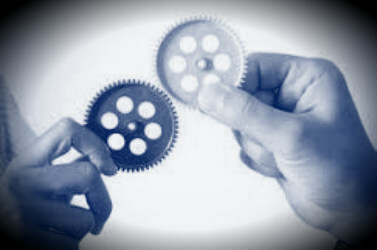 Here is a post I wrote on how to find a profitable community marketing partner. Speaking of HubSpot it is one of the case study in Sean Ellis’s book; Growth Engines: Case Studies of How today’s Most Successful Startups Unlock Extraordinary Growth. Through ten case studies, including Yelp, Uber, LinkedIn and HubSpot, Ellis explains the different types of growth engines and the contexts in which they worked best for those companies. Although I read Growth Engines to better understand a concept that is integral to Lean Startup, this book offers some very valuable marketing lessons. It also touches on growth hacking, a term coined by Ellis. It inspired me to write a post on what growth hacking is and isn’t. Another book that I thoroughly enjoyed was UX Strategy by Jamie Levy. Having been a Product Manager at a time where UX was but one part of the job description, it was great to delve into the depths of UX strategy. Whether you are starting a new venture to create the killer app, or trying to innovate in an existing small, medium or large business, this book is a must read before you start. It can help you define a winning value proposition. 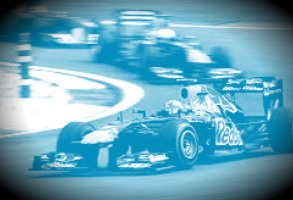 It also guides yourr competitive analysis and helps you see which features you need to focus on. The book is an easy read and doesn’t require any prior knowledge on UX design or app development. I was invited to a university workshop on blockchain earlier this year. Given I knew nothing on the topic I figured that it would be a great opportunity to learn. Montreal, where Baker Marketing is located, is a hotbed for blockchain research and development. The workshop did teach me the basics of blockchain but left me wanting to know more (a lot more, this is exciting stuff and definitely a game changer) about how this new technology could be used. One of the researcher at the workshop suggested Blockchain Revolution: How the Technology behind Bitcoin is Changing Money, Business and the World, by Don and Alex Tapscott. It was exactly what this non scientific reader needed. The Tapscotts explain the concept in very simple terms. They also explore a large number of applications for blockchain. They clearly show how significant a game changer this technology could be. In Spring I also contributed to the organisation of the Montreal edition of the Intrapreneurship Conference. During the conference one of the keynote speakers was Guillaume Hervé. Hervé is a veteran practitioner of intrapreneurship. He contributed to several corporate spinoffs in the aeronautics and health sectors. In case you are not familiar with the term, intrapreneurship is entrepreneurship adapted to large enterprise. Intrapreneurship is however not the same as entrepreneurship. These differences are the focus of Hervé’s book Winning at Intrapreneurship: 12 Labors to Overcome Corporate Culture and Achieve Startup Success. Based on the 12 labors of Hercules, Winning at Intrapreneurship looks at the traps, pitfalls and myths of innovating in large businesses. Hervé saw them all in his career as an intrapreneur. He shares with us some tricks of the trade on how to avoid and debunk them. You can read more on this topic on the post I wrote titled Entrepreneurs as Corporate Innovators. Continuing on the innovation in large business topic, Eric Ries published a second book this year. It’s titled the Leader’s Guide to Adopting Lean Startup at Scale. First, Eric innovated in the way he published the book. He financed the book with a Kickstarter campaign. The backers were invited to join the Leader’s Guide community (managed by Mightybell). He used the community to test hypotheses about the content and cover of his book. Yep, he did it the Lean Startup way. Unfortunately however, Eric only printed as many books as there were backers who pledged the sufficient amount. It isn’t available anywhere for purchase now that the Kickstarter campaign is over. You can however get a free digital copy if you know someone who invested in the campaign. The Leader’s Guide is based on Eric’s experience (as well as that of some backers) on implementing Lean Startup in large corporations, like GE, and government organisations (like the White House). I especially like the format of the book. Symbols are used in the margins throughout the chapters in order to quickly understand what the text pertains to. The coach’s Guide sections, for example, are about tips and subtleties in implementing the concepts. It’s truly a guide that you will go to when implementing a Lean Startup approach to a large organisation. Eric also announced that he will be publishing a third book next year. It’s tentative title is The Startup Way. We were lucky to have another great Lean Startup practitioner write his second book this year. Ash Maurya penned Scaling Lean: Mastering the Key Metrics for Startup Growth. As a follow up to his first book, Running Lean, Ash is now looking at how to use metrics to scale your business once you have found the elusive product/market fit. His rigorous approach to using key metrics to track your progress and focus your efforts has shown great results in many successful startups. Finally, I want to mention a website whose author consistently publishes great Lean Startup material. Tristan Kromer’s Grasshopper Herder is chalk full of Lean Startup ideas, tools and resources. Tristan was until recently one of the organisers of the San Francisco Lean Startup Circle. If you are starting a new project and interested in putting Lean Startup into practice take a look at the series of posts on implementing Lean Startup. It is meant to guide you along your journey when you first start your project. 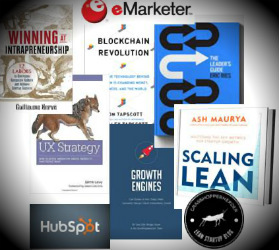 This concludes this year’s crop of my best reads on marketing, innovation and Lean Startup. Maybe some of them will become your favorites. Thank you for taking the time to read Techno Marketing this year. I hope you take some time off during the holidays to rest and replenish, as we will. 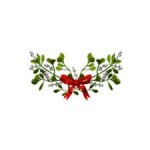 Baker Marketing offers you its best wishes for the holidays. May 2017 be filled with health, serenity and lots of successful projects. 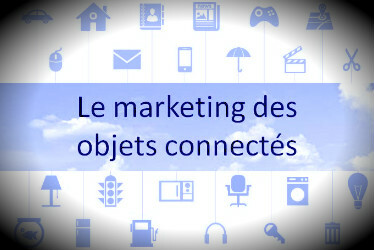 Le marketing des objets connectés : Le marketing de demain? Ils deviennent omniprésents dans notre quotidien. Les objets connectés se retrouvent sous forme de gadgets telle la bouteille d’eau intelligente. De façon encore plus fréquente sous forme de bracelets ou maillots de sport qui gardent le compte de nos activités physiques et de notre rythme cardiaque. Leur point commun; ils amassent une masse grandissante de données sur différents aspects de notre quotidien et les transmettent à un serveur. D’ici 2020, on peut s’attendre à ce que plus de 20 milliards d’objets connectés soient en circulation. Ils généreront des pétaoctets de données ayant la capacité de tracer un portrait de chaque minute de notre quotidien. Dans leur ensemble, l’analyse de ces données révélera des informations qui permettront aux fabricants d’optimiser leurs produits. Ce qui fait saliver les analystes marketing encore plus abondamment par contre est l’analyse au niveau de l’individu de ces données. Nombreux analystes, dont ceux de McKinsey, évoquent une 4ième révolution industrielle. Ils prévoient une société où tous les produits et services vendus seront personnalisés afin de répondre aux besoins de chaque consommateur. Ce qui implique que le marketing de masse se fera au niveau de l’individu et non d’un segment. Le message sera personnalisé en fonction du profil de l’individu, de son environnement, du contexte voir même du moment. De toute évidence, il ne sera pas créé par un humain puisque nous n’avons pas la capacité d’assimiler et de traiter une telle quantité de données à la vitesse requise. En ce qui a trait aux divers modes de livraison des messages publicitaires, je vous laisse les imaginer. En poussant cet exercice de prospective à sa limite on peut même en arriver à la conclusion qu’une intelligence artificielle filtrera les messages publicitaires et ne laissera passer que ceux qui correspondent à nos besoins et désirs conscients voir même inconscients. Revenons du monde de la science fiction et regardons comment nous effectuons le marketing des objets connectés aujourd’hui en examinant les stratégies du bracelet Fitbit et du thermostat intelligent d’Alphabet (Google), le Nest. On pourrait penser que Google, champion du big data, serait avant-gardiste dans la commercialisation du Nest. En fait, il n’en est rien. Alphabet a embauché en 2013 Doug Sweeny, ancien VP marketing de Levis (les jeans), afin de commercialiser le Nest. Non seulement Sweeny ne veut-il pas exploiter les données d’utilisation amassées par Nest dans sa stratégie marketing il opte pour une stratégie des plus traditionnelles pour un produit de grande consommation. Nest focalise depuis les dernières années, quasi uniquement, à croître son réseau de distribution physique (et non en ligne). Nest fait peu de publicité dans les médias et n’a aucune stratégie de marketing personalisé. Quant à Fitbit, cotée en bourse depuis 2015, sa stratégie marketing est beaucoup plus évoluée et exploite, bien que de manière limitée, les données amassées par ses utilisateurs. Fitbit ut ilise ses données pour développer sa gamme de produits qui compte près d’une dizaine de bracelets. Fitbit déploie également des campagnes marketing hautement personnalisées en adaptant le contenu de chaque courriel qu’elle envoie à ses millions de clients. De plus, Fitbit inclut dans sa stratégie le marketing communautaire. Outre sa communauté Facebook principale, avec près de 1.5 million de j’aime, Fitbit anime également des communautés pour chacun de ses produits sur de multiples plateformes de médias sociaux. Fitbit commandite aussi de nombreux événements sportifs et créé du contenu numérique destiné à être rediffusé par ses utilisateurs. 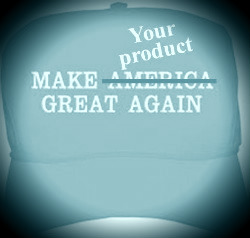 Il y a plusieurs autres stratégies marketing particulièrement bien adaptées pour le marketing des objets connectés tel le marketing prédictif, le marketing en temps réel et le co-marketing qui ne sont encore que peu ou pas utilisées dans ce secteur. Les trois derniers freins expliquent également pourquoi les fabricants d’objets connectés utilisent principalement des fournisseurs externes pour analyser les données et développer leurs stratégies marketing. Il est évident que le marketing des objets connectés en est encore qu’à ses balbutiements. À défaut d’une innovation de rupture dans le domaine, il faudra attendre de nombreuses années encore avant de voir le marketing des objets connectés se différencier substantiellement du marketing courant.